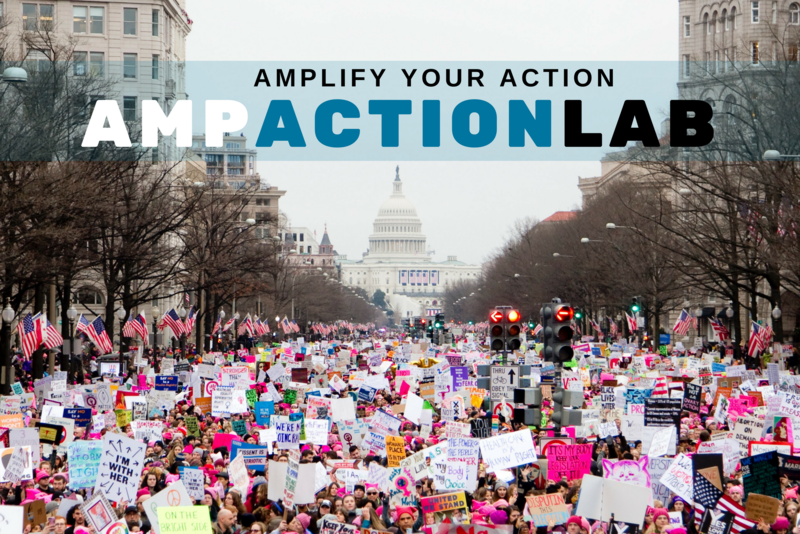 AMP Action Lab is a skills-builder for young change-makers and agitators who are interested in building, deepening, and refining actionable skills around social change, leadership and advocacy – at the local and global level. The 5-day training program is designed and delivered by AMP’s expert trainers through hands-on workshops that are intensive in both theory and in practice, with training modules covering skills such as Systems Thinking for Complex Problem-Solving, Diversity and Inclusion, Strategic Planning for Social Action, Strategic Communications and Storytelling, and Empathy Mapping. At the end of the program, participants will have a deep understanding of how power works and how to use power in an equitable and effective way. The AMP Action Lab provides all the building blocks to participants applying their learning to the launch of a social action project on the AMP Global Youth platform. 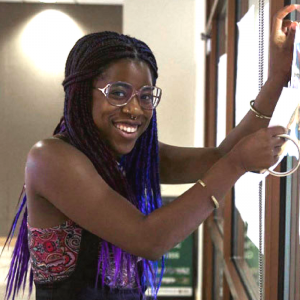 In response to and in honor of the incredibly inspiring youth organizing that North America has witnessed in recent history, the AMP Action Lab serves budding change-makers with on-the-ground tools for change. Based in Washington, D.C., we invite global youth to come and experience what real change looks like in the city where change is the only constant. Systems Thinking and Complex Problem-Solving: To truly solve our 21st century global challenges in an effective, meaningful, and long-lasting way; we must understand the complexity and connectivity of systemic issues that are not so easily solved. Like this, this module moves to unearth the root causes of stubborn problems by equipping participants with a range of systems thinking tools that map out how social systems are designed by our attitudes, upheld by our behaviors, and reinforced by our relationships – all with the aim of transforming them. Diversity and Inclusion: Advocacy and organizing is often about building power in our local-global communities, but in order to do this we must first understand the nature of power in all its forms and how it interacts with people’s composite identities. In this module, concepts such as; prejudice, power, and privilege are deconstructed as we introduce an anti-oppressive, intersectional approach to designing and delivering social action in order to build power that is equitable and inclusive of everybody. Strategic Planning for Social Action: Launching a project and campaign no matter how big or small requires thoughtful planning and execution, whether it is an advocacy, social media, or crowdfunding. This module takes an in-depth look at strategy vs. tactics, stakeholder analysis, mapping, and engagement in order to understand how to plan a SMART-bound theory of change that will create the kind of impact you want to see happen. Strategic Communications and Storytelling: The key to any effective social action is that people know about it. In the age of the digital media, communications has never been more creative, competitive, and therefore strategic. 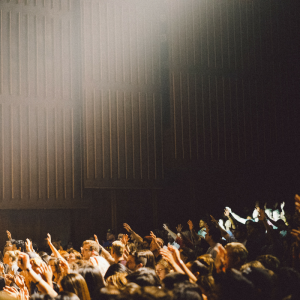 This module looks at different types of awareness-raising and outreach as well as how to successfully deploy storytelling tactics to emotively, resonantly, and compellingly hold your audience’s attention and allyship. Full of tips, tricks, and techniques, participants will be trained in how to amplify their various ‘voices’ for a change-making that attracts, engages, and influences. Empathy Mapping: Empathy Mapping is a process which requires the changemaker to suspend assumptions, biases, and judgement in order to better understand the mindset of target stakeholders, beneficiaries, or potential collaborators. This module trains our intrinsic muscle for empathy and emotional intelligence, both of which are 21st century skillsets that are needed more than ever for changemakers thinking strategically and feeling empathetically in order to decipher the complex myriad of wants, needs, and challenges that make up the daily lived experiences of those around us. Dates: 2019 dates and locations will be announced early 2019. Check back soon! Application deadline: Rolling, but space is very limited and we strongly advise applying early. We can discuss whether the best option is for you and your group to go through training at our location in Washington D.C. and what costs will therefore apply. If you would like us to come to you, please get in touch to discuss alternative rates of in-house training. We are committed to helping students attend regardless of their financial means. Every year we offer partial scholarships to approximately 40% of our class. Regardless of your socioeconomic circumstance, please do apply and we will be happy to discuss financial assistance as a way of enabling your participation in the program. AMP Global Youth has over 15 years of experience empowering youth to understand and speak out about global issues. More than 100,000 students have participated in our various programs. Throughout the years, our global youth alumni have continued to engage with our rapidly growing network of global student leaders. Vanessa is a trainer-facilitator, curriculum developer, and project coordinator in social impact education. She works with AMP in designing and delivering the AMP Action Lab, Global Scholar, and AMPlifier virtual trainings for global youth. Her curricula span anti-oppression; systems thinking; and social action as ways to educate and inspire systems-level social change. In her non-existent spare time, she also does motivational speaking and blogging on social innovation. Vanessa has a double honors bachelors degree in International Relations and Spanish and a post-graduate certificate in Social Enterprise and Innovation. She is really passionate about traveling, reading, and speaking Spanish.